Fabtech’s 4” F150 system utilizes their proven heavy duty construction and design features found in their 6” systems but with less lift and at a much lower price. 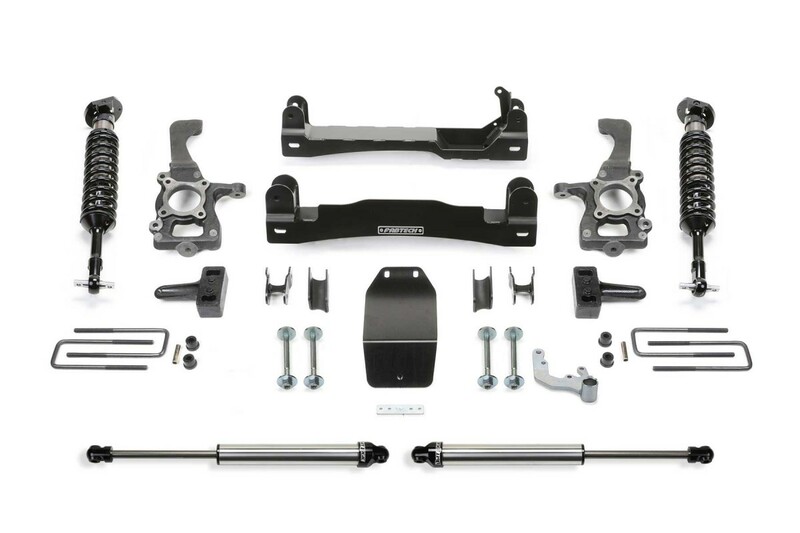 This 4” System allows use of 33” tall tires and features high arched lower control arm crossmembers constructed of 1/4 “ thick steel for maximum strength. The Fabtech ductile iron steering knuckles retain the stock track width keeping tires under the fender for a clean appearance. Rear lift is accomplished with a block and u-bolt configuration. 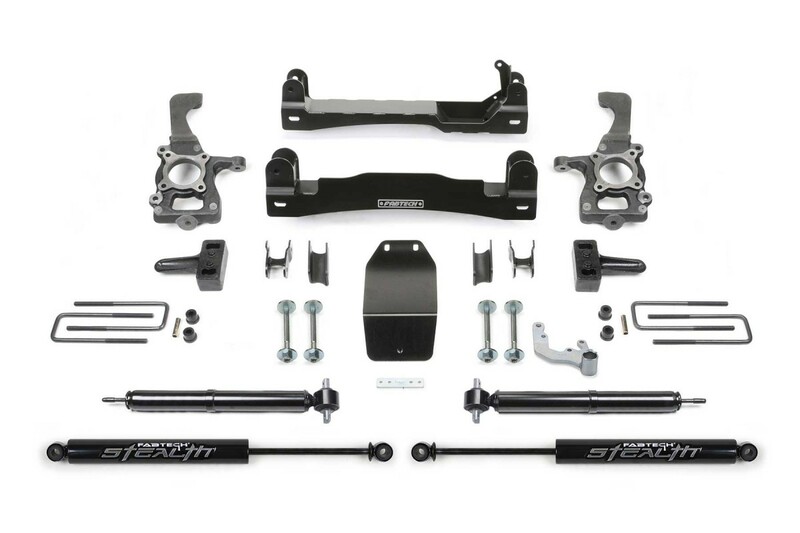 The Basic System includes heavy duty front Coilover shocks for increased dampening capacity while retaining the factory coil springs and Fabtech’s Performance rear shocks. 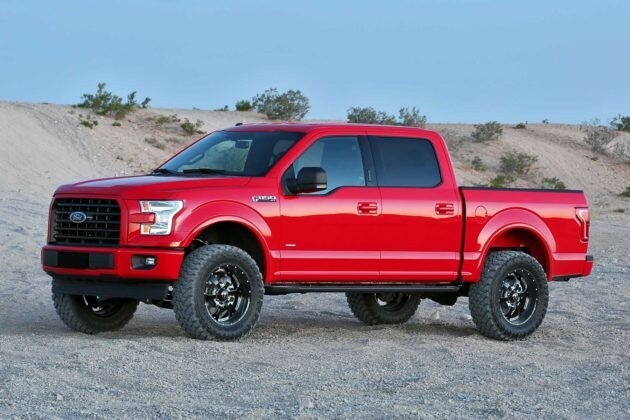 The 4” System allows use of 33” tires and is ESC (Electronic Stability Control) and Traction Control compliant. 171. Will not fit diesel models.